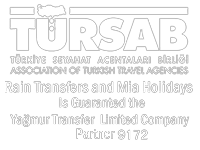 Excellent service , driver waiting at arrivals , very friendly service.always use this transfer company for my airport transfers. Would definitely recommend this company. Thank you for a fantastic service in a luxury vehicle. Everything was excellent. The only small problem was finding our driver at the airport. He wasn’t standing with the rest of the drivers and the paper with our name on was written in an orange color, which you couldn’t read in the sun light. Other than that small thing everything else was excellent. 5* service. Great service .on time . Your drivers made us very welcome and offered drinks and snacks. There was a TVs in the cab and they made sure we were very comfortable. They were prompt at the airport, holding a plaque with my name and were early start the hotel on the pick up. 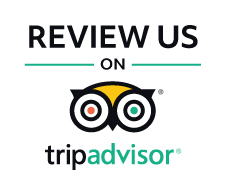 Altogether we were extremely pleased with your service and would recommend it to everyone. Prompt pickup and drop off. Thankyou. Very professional company. Did not have any problems with them. Very nice and helpful staff. Our Driver mehmet was a great guy. He made our whole journey very smooth. Our driver was very easy to find with my name clearly written and I couldn’t miss it. Driver was very nice and efficient. His driving was very good and did not find it scary at all in a new city. Helped us with our bags and took us right in front of our hotel. Would definitely recommend this company and will use it again. Thank you once again for our safe transfer to the airport. The driving conditions were very bad on 3rd January. Indeed the plane coming in to Dalaman which would take us to Gatwick tried to land 3 times and eventually landed in Rhoded. This delayed our flight to Gatwick by 4 hours. However your driver coped with the dreadful conditions VERY VERY well. We have great admiration of his driving skills. Well done !!!! There was a problem with Payment initially , but was told by your company representative that there was an issue with your Bank, but we got there in the end , Very proffessional and Courteous service !!!! Driver at airport, no delay. 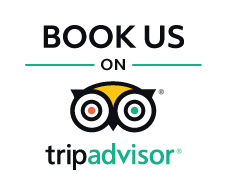 Polite courteous throughout,would recommend to anyone. Thank you. Fantastic quality and price! They picked us up in a nice vehicle and we were very satisfied we will use you guys again keep the value! The driver who collected us from the hotel was exceptional. The collection at the airport was late though. The only problem we had was trying to make contact with your office for the return journey. We made over 10 calls but unable to make contact, apart from that the service and vehicle was excellent. Thank you very much for the excellent service. Thank you for another excellent friendly and reliable transfer, I will hapilly use you again! Wonderful service as always , used this company many times , and never let us down , very good price , nice clean cars and friendly safe drivers . If you are looking for a reliable shuttle transfer or private taxi from Moscow Vnukova Airport to many resorts in Turkey, then Raintransfers will offer you the best transfer deals. Book your transfer in advance & save money.